Conver this wheel to Easy Mount? Repair damaged threads in this wheel? Multiple services in one place! 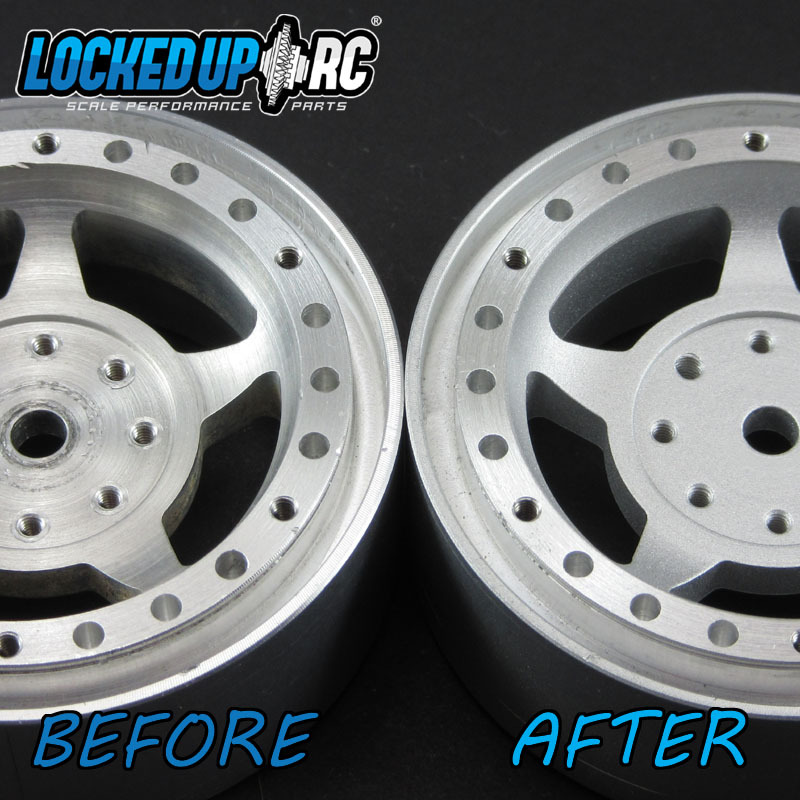 Refresh the look of your Locked Up RC wheels by having us refinish them here in the shop. We refinish the front AND back "faces" which are the surfaces that are visible once a ring and tire have been mounted. Depending on your exact situation we will remove the screw and either retap the hole or repair it with inserts. Step 2: After checkout, we will call or email you to discuss any potential issues. 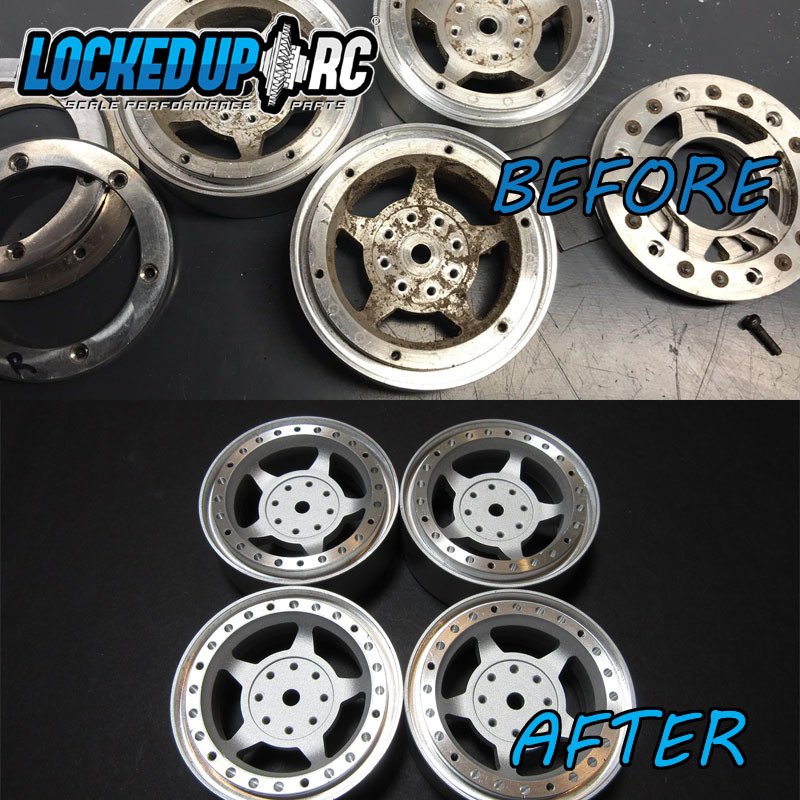 Step 4: Ship us your stripped down (no hardware installed) wheels. 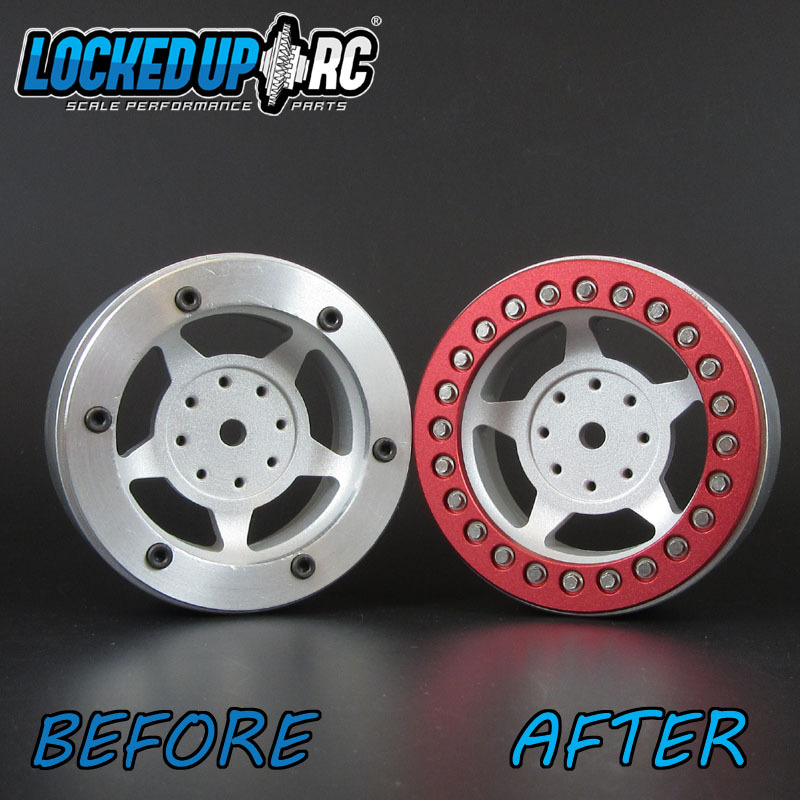 Step 5: We will repair and refinish the wheels as discussed. 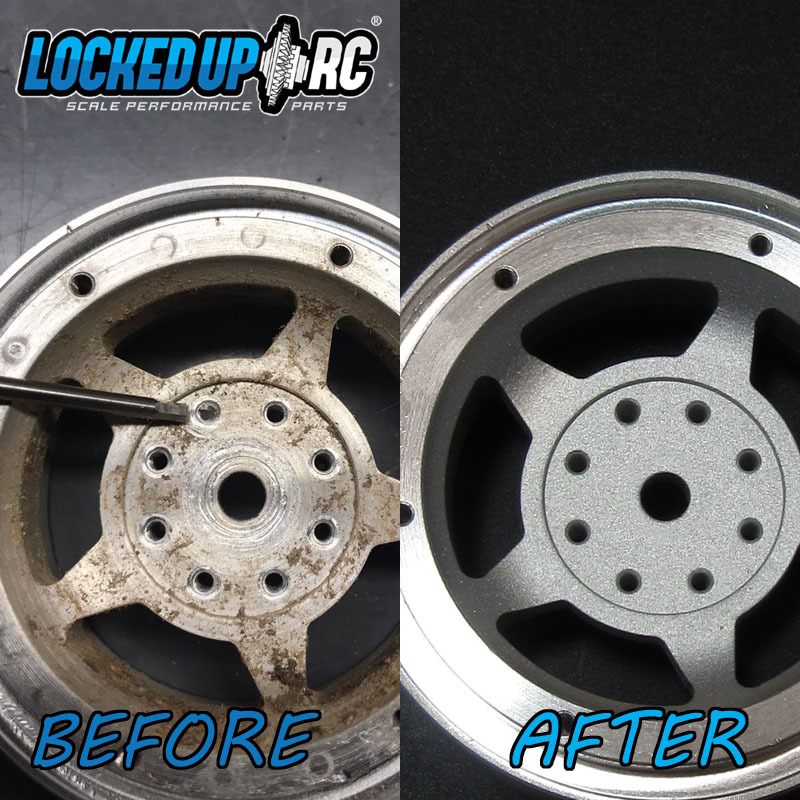 -If you send greasy/oily wheels we will have to charge for our time to de-grease them.